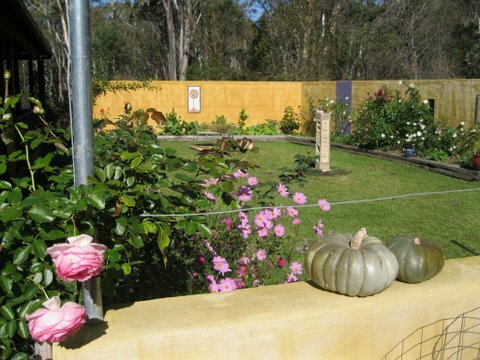 Wombat Gully is a native and rose garden nestled into the countryside at Cox’s Creek Road. 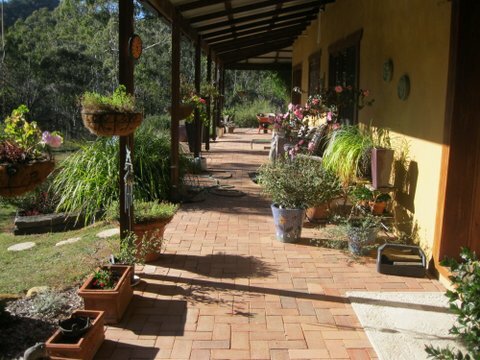 Drive out 17km along scenic Cox’s Creek Road and visit this sustainable house and conservation property. You will find lots to entertain you, including a native plant nursery and native gardens, a formal walled rose garden, vegetable garden and chook house; as well as an artist’s studio and exhibition (with works for sale). Carmel and Jorgen will be conducting workshops on chooks, propagation (from seeds and cuttings) and also tours of their beautiful poured earth home.